Microsoft PIX beta is now available on Windows 10. PIX is a performance tuning and debugging tool for Xbox game developers. Pix also help developers in analyzing DirectX 12 games on Windows. Windows 10 build 14393 is recommended to run PIX on Windows 10 with latest updates, 32 GB RAM, a Direct3D 12 GPU with the latest available graphics drivers. 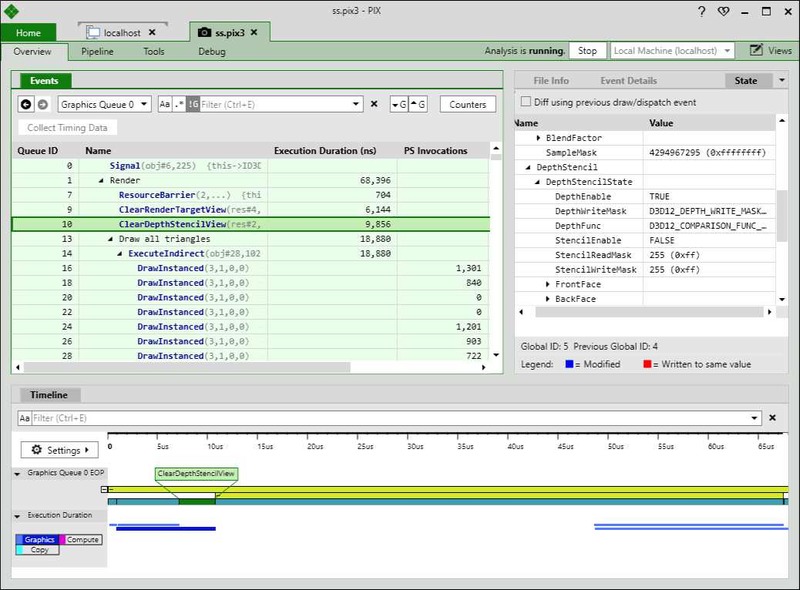 GPU captures for debugging and analyzing the performance of Direct3D 12 graphics rendering. Timing captures for understanding the performance and threading of all CPU and GPU work carried out by your game. Function Summary captures accumulate information about how long each function runs for and how often each is called. Callgraph captures trace the execution of a single function. Memory Allocation captures provide insight into the memory allocations made by your game. PIX only supports capturing D3D12 content, not D3D11 or 11on12. PIX only supports 64 bit apps (both UWP and Win32). PIX does not support x86 apps. PIX only captures data from the specific process that it launched or attached to. It does not support child processes. If your title uses multiple processes, you will need to bypass any client/launcher processes and have PIX launch/attach the main game executable. Counter values other than timing in the event list are not currently rolled up to their parent bundle or marker region. GPU captures are not generally portable between different GPUs or even different drivers on the same GPU. PIX will warn if you attempt to run analysis on a capture whose capture device differs from the current playback device. You can continue past this warning, but be aware there may be compatibility issues that cause it to fail. GPU captures do not currently overlap GPU work on different queues. If your app uses asynchronous compute to execute rendering and compute work simultaneously, it will show up in the PIX timeline as being executed in a non-parallel fashion. PIX does not support multi-gpu enabled apps. You can use PIX on a machine with multiple GPUs, but PIX will always capture/playback on the primary adapter. To learn how to use PIX, check out the documentation and video channel. Last but not least, download the PIX beta here.